I called to the Myst and it send us you. For hundreds of years, highborn nobles have competed for the chance to learn of the Myst. Powerful, revered, and often reclusive, Mystics have the unique ability to summon and manipulate the Myst: the underlying energy that lives at the heart of the universe. Once in a very great while, they take an apprentice, always from the most privileged sects of society. Such has always been the tradition—until a new High Mystic takes her seat and chooses Pomella AnDone, a restless, lowborn teenager, as a candidate. Commoners have never been welcomed among the select few given the opportunity to rise beyond even the highest nobility. So when Pomella chooses to accept the summons and journey to the secluded forest dwelling of Kelt Apar, she knows that she will have more to contend with than the competition for the apprenticeship. Breaking both law and tradition, Pomella undergoes three trials against the other candidates to prove her worthiness. As the trials unfold, Pomella must navigate a deadly world of intolerance and betrayal, unaware that ruthless conspirators intend to make her suffer for having the audacity to seek to unravel the secrets of the Myst. I wasn’t going to write this review. 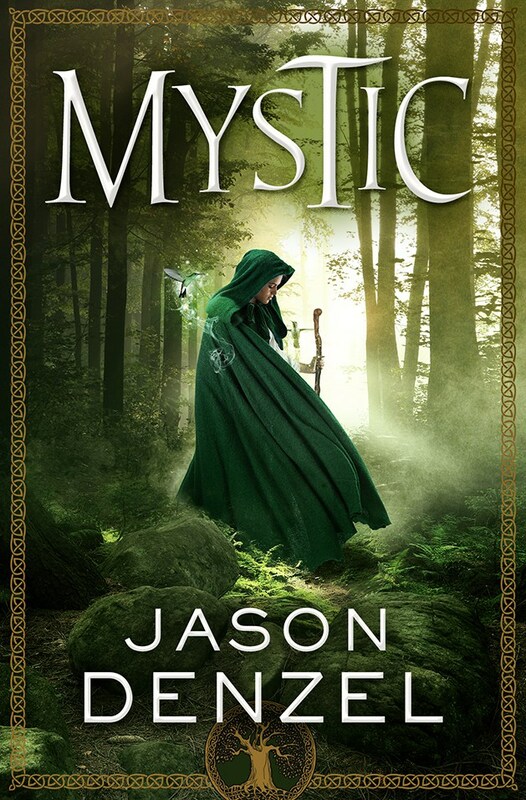 Not because Mystic isn’t a good read, but because I find myself in a peculiar position with this title, one that’s never happened to me before. You see, I know Jason Denzel. And not just a little bit—I count him a close friend. 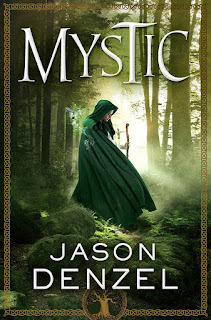 Knowing I was carrying a bias, and also conscious of the fact that I am genuinely excited and proud of him for accomplishing publication, I began reading Mystic with trepidation. So I did what I do with any book when I’m afraid I’ve lost my objective viewpoint: I took notes. Copious notes. Kept stickies inside the front cover, and I marked every time my inner editor wanted to rewrite a sentence for him, and every time my brain wandered away with a thought—be it praising or criticism. And you know what? Dude did good. Mystic has a quick hook, and is plainspoken with a clear, definitive voice. It has the classic tropes expected of the fantasy genre and bildungsroman literature, but doesn’t feel recycled. The worldbuilding feels authentic, not forced. At times I thought some of the names were clumsy, but overall they worked, and the gleanings of culture—of Oakspring and beyond—were well done. I particularly liked the idea behind the Common Cord—where family-specific knots are tied on a cord in a show of community solidarity. It’s a quick little YA read that was a refreshing change of pace. It’s comfortable in itself, and I find that’s important—especially in a first novel. But despite all this, and despite my note-taking (begun as a way to give Denzel feedback, more than anything), I still wasn’t going to write this review, and I wasn’t going to post it on my teeny tiny wee platform on my corner of the Interwebs. I didn’t even want to admit to him I was reading his book (and I almost kept that secret). But then, Mystic’s ending surprised me. Twice. Here I thought based on tropes I knew where it was going and exactly how it was going to end, and—whoop!—I was wrong. And the ending that’s there is built into the novel, it’s not some blindsiding to the reader, crashing in from left field unnoticed. No, it’s carefully laid in, yet subtle enough that it’s unexpected. And that is why I’m writing this review. I’m a reader who tries to predict—it’s a symptom of the deconstruction that never stops happening in my overactive brain—so any time an author can flip the script on me and it works, well, I’m pleasantly surprised, and a satisfied reader. So this is the review I wasn’t going to write, yet am proud to be able to put my—yes, biased, but carefully vetted—opinion out there. Mystic is light, quick, and well done, and I know my kids will enjoy it. I’m proud to have it on my shelf, Jason, thank you.